Massachusetts College of Art and Design’s Bakalar & Paine Galleries are a venue unlike any other, offering professionally and imaginatively curated exhibitions featuring influential, emerging and well-known artists from throughout the world in the largest free contemporary art space in New England. We surpassed our $12 million goal! Thank you to the generous donors who made our success possible. MassArt alumnus Arne Glimcher '60 (BFA, Painting) kicked off the public phase of the UNBOUND campaign with a generous $1 million gift, the first at that level in the history of MassArt. Two additional gifts of $1+ million were received from Barbara and Amos Hostetter and an anonymous donor. 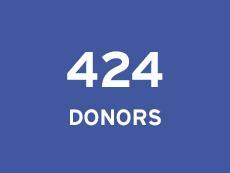 We are absolutely thrilled and humbled by the outpouring of support we have received from supporters who have cherished MassArt and the Bakalar & Paine Galleries and the many new donors who champion our mission. We look forward to celebrating the opening of the largest free contemporary art space in New England with you and our surrounding community. Thank you for your encouragement and generosity. Stay up to date with construction milestones, Bakalar & Paine Galleries announcements, and more by following the galleries on Facebook and Instagram. Help us continue our amazing, thought-provoking contemporary programming that is always free and open to all. Contact Marjorie O'Malley, Vice President of Advancement, to learn how you can support exciting exhibitions, fun Family Days, and engaging public programs. Through your generosity, you can help us foster the art and artists of tomorrow. Thank you!